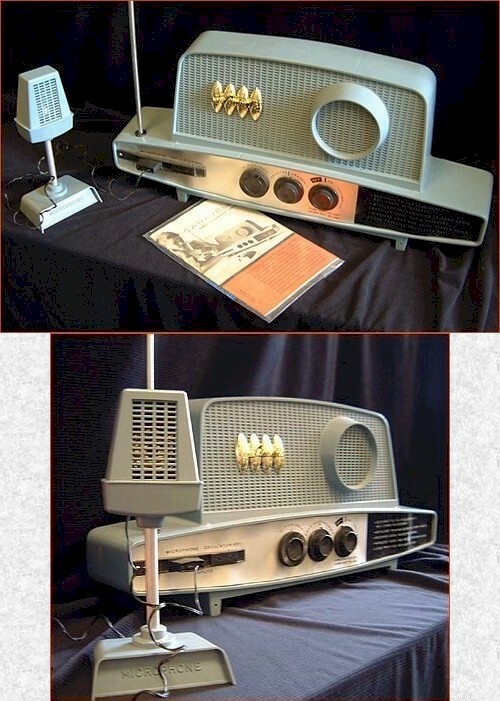 While this is not a broadcast radio, I felt that Rush Limbaugh's Remco Caravelle deserved a place in the Archives due to its unique place in radio history. The Caravelle was a Christmas gift to Rush at age eleven. He played at being a disk jockey for hours with this toy, and as an adult he realized his boyhood dream of becoming a radio broadcast personality. And what a personality he has become! He's the number one radio talk show host in the nation, with almost 20,000,000 listeners a week. With over twenty years in syndication, he is a five-time recipient of the Marconi Award for the Network Syndicated Personality of the Year and a member of the Radio Hall of Fame. Thanks to Rush, "talk radio" became a phenomenon; his success spawned others who helped revitalize AM radio with the talk format. Thanks to Rush Limbaugh for allowing the Radio Attic's Archives to use these images! 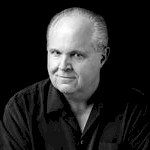 Visit Rush's web site to enjoy broadcast excellence! You are visitor number 168 to this page this year.